Ok, this is no rocket science! It looks really good on a festive menu and it’s really delicious. Fill a pot with water, add sea salt and olive oil and bring it to a boil. Place 4 asparagus spears in the boiling water and let it boil for 2 minutes. Remove them and place them on a paper towel. Repet with the rest of the asparagus. 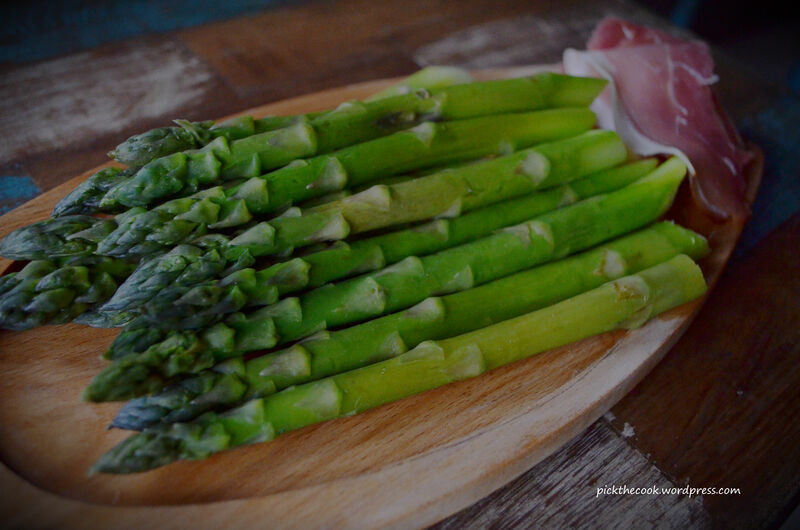 Let the asparagus to cool. 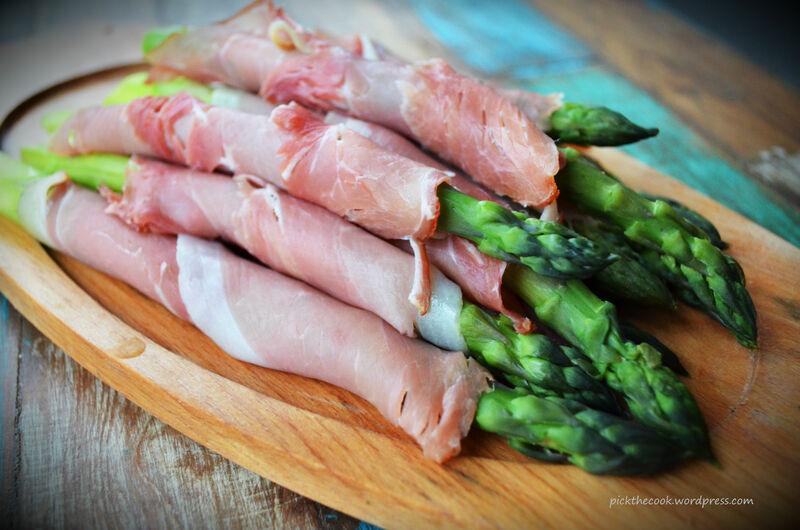 Wrap each asparagus spear in a slice of prosciutto.